FreshForex started to work on the foreign exchange market in 2004. Today FreshForex is one of the leading companies on the market of Internet trading. Continuous improvement of trading conditions, launching popular financial instruments, taking care of each customer - all this has ensured the rapid development of the company and brand «FreshForex» in traders Community. FreshForex provides traders with only the best trading conditions on Forex. 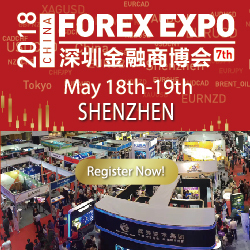 Popularity of the company is growing rapidly, FreshForex always keeps high positions in national and international ratings and takes part in large financial exhibitions and conferences as regular participant. From April 8 to December 31, 2015 take part in the "36% per annum" promotion and receive the most profitable interest rate on free funds! Trade as usual, earn with various instruments, whereas FreshForex will work to increase your deposit month by month. Classic and Market Pro accounts that are not linked to the “Rebate of the future” promotion are eligible for the promotion. There is no limit on the number of participating accounts. The promotion is not available on Master accounts. Duration of the promotion: from April 17 to July 31, 2015. The promotion is valid for Classic and Market Pro (except for Master accounts) that are not connected to "Rebate of the future" and "Drawdown bonus 35%”. Bonus is provided in the rate of 101% on the first refill of account and in the rate of 33% for deposits above 100 USD / 80 EUR in the currency of account. The maximum bonus amount provided under this promotion should not exceed 5 000 USD / 4 000 EUR. Take part in the second tour of the most fascinating contest from “FreshForex” - we draw $50 000 and ready to give this money to 10 best traders! Open Investment account and deposit the amount from 200 USD / 160 EUR. Take a medal place in the rating and obtain reward from "FreshForex"! 2. Contact FreshForex to have the funds transferred from your old account to the new one. Боевая контора, наша, без вариантов. И когда что то предлагают, то тоже по нашему. Было 2000 дол бонуса, а сейчас вот при пополнении можно 101% тоже бонуса взять. Тоесть без бонуса не оставят, просто сменят вариант получения. Вот это наш подход, уважаю и рекомендую. To tell the truth, I cannot say I have had a problem with frehforex. So far, their spreads are friendly, with an instant market execution platform, freshforex is just the best for scalpers. They are regulated and also recognize scalping as a strategy. It's nice that FreshForex cares about my interests. Recently, they launched a new service - SMS-notification about Margin Call. Now, when margin level gets below 100%, I immediately get a notification and if here is a need, I can instantly add funds with the help of mobile payments. Convenient! As for me I had enough serious problems with emotions, I have not always been able to control them, and this affected trading. But it is good that the website of FreshForex offers the materials that help to understand yourself and find out how to correct the drawbacks of your trades. I like Freshforex because they provide many trading opportunities for traders. For instance, there are a lot of pair for trading, and low spreads at exotic trade instruments. There are several account types here, you can choose what you want and you can open all of them at once for trading. The main thing for me is withdrawal. Any company can offer the lowest spreads, a lot of trading instruments, very interesting bonuses, but it all doesn't matter, if you can't withdraw your profit. I work with FreshForex and I didn't still have any problem with it. I appreciate freshforex for stable operation regardless of temperature or on the street, or turmoil on markets. Everything isat the highest international level. In trade I am using my trading system, profit is from noloss to 34% per month, an average about 15%. I plan to open a master account next month. and will earn. As for me, I prefer to trade on large macroeconomic news, especially Non farm. And that's why I need very fast order execution and no requotes. So, I use ecn-account of Freshforex broker, and like it very much. I always make some profit with every news. I have used this broker since the summer 2013. I can say that during all time, there were some problems only in December 2014, when rouble pairs were unreliable. There are lots of advantages anyway, for instance they add more trading instruments. The maximum profit I have ever got was $870 and there were no problems with withdrawal. I think that this broker is not bad. I like this broker most of all. It always hold interesting contests between fund managers. I took part and won 1000 bucks! Cool! Now I gonna double my balance and attract new investors. Thanks to the Internet, education has got much easier. Especially webinars are a good thing ,because you, firstly, gain knowledge, and secondly, get this knowledge at home, and thirdly, if you have no case to watch it on the air, you can check the records. Personally, I am subscribed to newsletters of my broker FreshForex and I'm always updated about market events. I choose what interests me and either watch it online or watch the record, depending on a sutiation. I'm experimenting with Swap free account with freshforex. It is nice that ou can trade without swaps on any type of account. When I tested, often I turned to the help of technical support service. They sustained my exam  answered in around-the-clock mode and quickly. And it's important that they do not deceive. 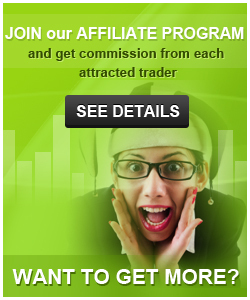 I'm in early trade, and have already got experience, I still love to participate in various bonuses and promotions. In FreshForex I found many interesting proposals for traders of all levels! I started trading almost immediately . Now I use promotion "of 36% per annum". What makes me feel good about FreshForex? They offer a decent execution of orders, plus stable operation of the platform. No minimal deposit, big leverage, you can open a lot of accounts with different trading instruments. Interesting promos are often held. And what is important - a prompt withdrawal. I use their market pro account and I have adapted my adviser to its resources. It has been working for four months, without any stops, because I use a dedicated channel for it. I turned it off only once when I had noticed a mistake. Now the total profit is 58%, dradown was 2%. I assume that it is because of trading conditions of the broker. I learnt fershforex using their web-site. It attacked me cause was positive and offered much information. I decided to open demo with the to figure out. Spent some time with support – they did not disappoint me. Client area is also good and offers many options. I think I will switch to a live account with them and will try to trade. It's an interesting broker, first of all because of its promotions. One of the recent promotions is interest on free funds and it depends on how actively you trade. So traders gets more that just people who only deposit some money and that's all. The volume seems big only for manual trading. I use an advisor, it makes such a volume quickly. I want to share my story of using this broker. My friend told me about this broker and I did not regret it all. More over, I am delighted. This is the first broker in my record which withdraws without additional questions and requests of personal details (there was a time when another broker requested me to send passport with photo). And withdrawal to skrill took 3 mins 21 sec – I checked three time and even print-screened and can prove my words. If there is a broker's representative on this web-site, thank you for your great job. What I like here, is the fast execution speed and page of statistics where I can see all needful information and plan my trading day. I want to mention this broker because they have a carefully planned preparation of beginners to a real work. Forex encyclopedia, regular reviews of market. Support is responsive. If you want to learn and practice, that gives you all you want. They are a real broker and not a pyramide. Of course, they offer promotions but they look reliable and do not guarantee instant profit. They offer part of spread. Trading terms are ok, prices are not dumping but you need to pay for quality of service, right? I've been trading with Freshforex for a year and what I like here is execution speed, less than 0.5 Sec. It's enough for me to get profit because I use a scalping strategy and the speed is very important for me. I like Freshforex analysis, especially Forex economic calendar. This is the main instrument to make some trading decisions. Also this broker has nice web-site. Everything is understandable and good looking. Personal Area provides all necessary information. Thats why, I like to work with Fresh. Advantages: ecn, useful bonuses and fast execution. Disadvantages: spreads at classic account, no bonuses for ecn accounts. No minimum depo and good bonuses for new traders. I have opened a market pro account and got additional money in the credit column. No troubles with execution jet, although EURUSD was like crazy last week. I have an ecn account and I can say that it's quicker than by the other brokers I dealed with. I use an adviser and it works better, so I have a better profit. Thanks!